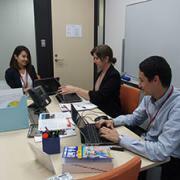 In 2015, a new internship program scholarship was made possible by the TOMODACHI Initiative. This scholarship was created in response to President Obama’s and Prime Minister Abe’s April 2014 commitment to facilitate Japanese internship opportunities for American students. The initiative will contribute to the bilateral goal of doubling two-way student exchanges by the year 2020. 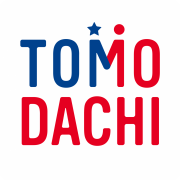 Based on the success of previous years, the TOMODACHI Internship Program has been renewed for 2018-2019. Temple University is able to award scholarships of up to $5,000 to qualified students to participate in the TUJ internship program, with additional tuition support for out-of-state students (about $5000 for fall/spring; for summer, the amount varies depending on number of credits). Temple and Non-Temple students are encouraged to apply. Detailed scholarship information, deadlines, and the application will be provided to accepted study abroad program participants.